Brunch, by name and by nature, is the very best of both worlds. Better than breakfast – in that it affords a weekend lie-in and it generally allows one to eat more – and more leisurely than lunch. What’s not to love? 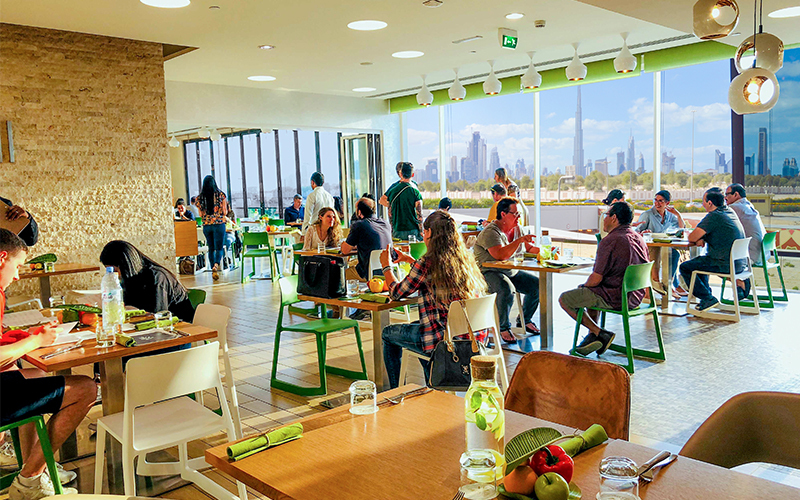 eat well Restaurant invites you to join with your little one’s every Friday and enjoy the healthiest brunch, with spectacular views of the Dubai Skyline and Burj Khalifa. Babies up to the age of 1 year, can enjoy complementary baby food courtesy of Yum by Mum. Kids under 5 eat for free, and pay half up till the age of 10. Guests can even enjoy the offer on a 2 for 1 basis, with Entertainer and Zomato Gold. There’s fun to be had for the whole family, so why not drop by this Friday for an afternoon of good food and great views? Details: Brunch is held every Friday from 11:30am to 3:30pm, priced at AED 121 per person. For reservations, contact 05447 66326 or info@dubaieatwell.com. For more information, visit the website.